No parent wants their child to become addicted to drugs. Unfortunately, many parents avoid taking action to prevent drug use, often because they think it could never happen to them. Even if your child is a straight-A student who you don’t think could ever possibly fall victim to drug abuse, it’s important to realize that it can happen to anyone. All it takes is a tiny bit of peer pressure to forget a powerful addiction. In honor of protecting children everywhere, the caring team from Northbrook and Tinley Park, Illinois’ top addiction treatment center, Brightside Clinic, will explain how to protect your kids. Teenagers are increasingly using prescription drugs for recreational use, which can quickly spiral out of control. To protect your child, pay attention to what potential drugs could be abused in your very own home. As a precaution, lock your medicine cabinet. 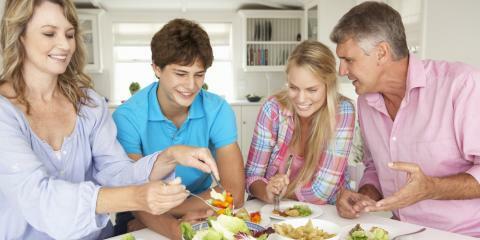 Prioritizing time with your family will help build a relationship of trust and understanding. As your child gets older, it becomes harder to sustain a close relationship, but doing so is more important than ever. Eat dinner together, take turns talking about how your day went, and create a safe environment for discussing your feelings together. Go to sporting events or piano recitals, and most importantly, lead by example. Have a two-sided discussion about the perils of drug dependence before your child enters their teen years. Don’t make threats or accusations—instead, gently explain the severity of using drugs. Don’t sugarcoat it—talk about opiates and heroin; explain how the chemicals in these drugs alter your brain permanently and how they can ruin lives and even kill you. Make sure you mention the legal consequences as well. Give an example of how you might refuse drugs in a social setting, and set clear rules and boundaries. If you think your child is using drugs, first, talk to your child. Then, seek the support of a trusted addiction treatment center that specializes in teen opiate addiction treatment.